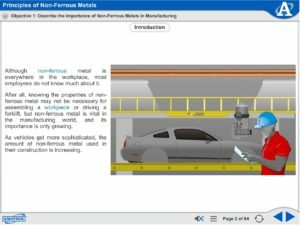 Principles of Materials – Non-Ferrous Metals introduces the properties, elements, and types of non-ferrous materials commonly employed in metal manufacturing. 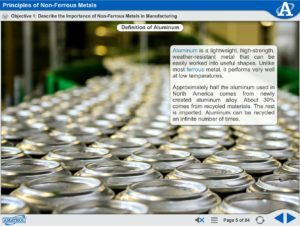 This course covers the basics of the non-ferrous material manufacturing process and the elements used to create non-ferrous materials. 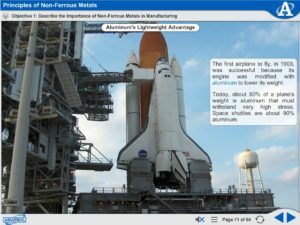 Learners gain an understanding of the main types of non-ferrous materials, their properties, common tests used to measure metal properties, and how they are applied in industry.